Snapdeal’s is fighting a battle of survival in the India’s competitive startup world. And with fresh reports suggesting an internal conflict between its investor, things only look bleak for the country’s homegrown e-tailer. 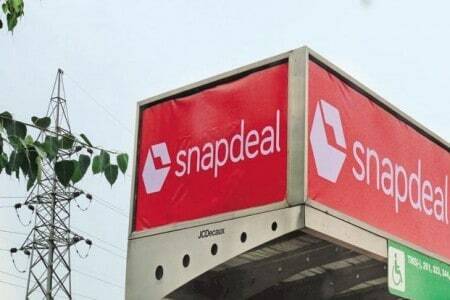 Amidst the funding crunch that’s apparently marring the entire startup culture in general, Snapdeal missed out on two offers in the past six months for fresh funds due to a rift between investors on its board of directors, reports Livemint. Citing people in the know of things, the report says that the clash is between early and powerful Snapdeal investors Kalaari Capital and Nexus Venture Partners on one side, and SoftBank Group Corp., the company’s largest shareholder, on the other and all apparently over company’s valuation in a potential fundraising round. While Snapdeal has been in a cost-cutting mode with hundreds of jobs being slashed in recent past, the missed opportunities do not bode well for the struggling company. Over the past six months, SoftBank has offered to invest at least once in both Snapdeal and its digital payments unit Freecharge. The proposed deal would have lowered Snapdeal’s valuation (including Freecharge) to less than half the $6.5 billion that it fetched in its last funding round. The deal was reportedly rejected by Kalaari and Nexus as the valuation drop would have led to a significant increase in SoftBank’s stake and a corresponding slide in their ownership. SoftBank owns 33 percent in Snapdeal, while Nexus owns roughly 10 percent and Kalaari nearly 8 percent, according to documents with the Registrar of Companies. Recently, there were rumours about Snapdeal mulling a potential sale of its business to either Flipkart or Paytm, but in the current scenario, even that looks unlikely.